While replenishing my stash a few months ago, I came across Avalon Organics Thickening Conditioner (Biotin B-Complex Therapy) in the suggestion box before check out. Back in my excessive PJ days, I remembered using one of their products and liking it. I clicked for more information, liked what I read and decided to order the trial size and give it a try on my next wash day. 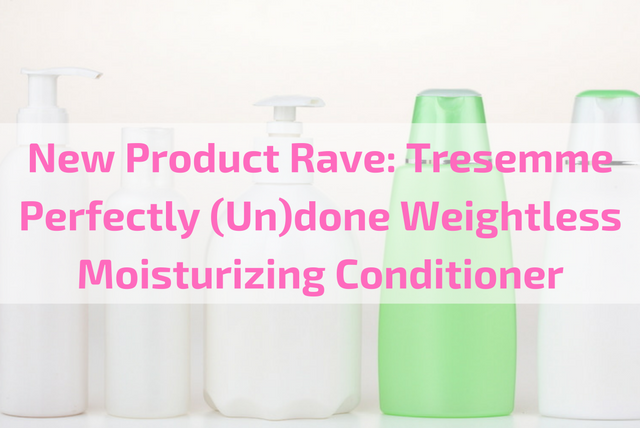 My 2016 regimen is detailed HERE and is pretty much set to complement my protective style challenge for the year but sometimes, I interrupt it to test a product. 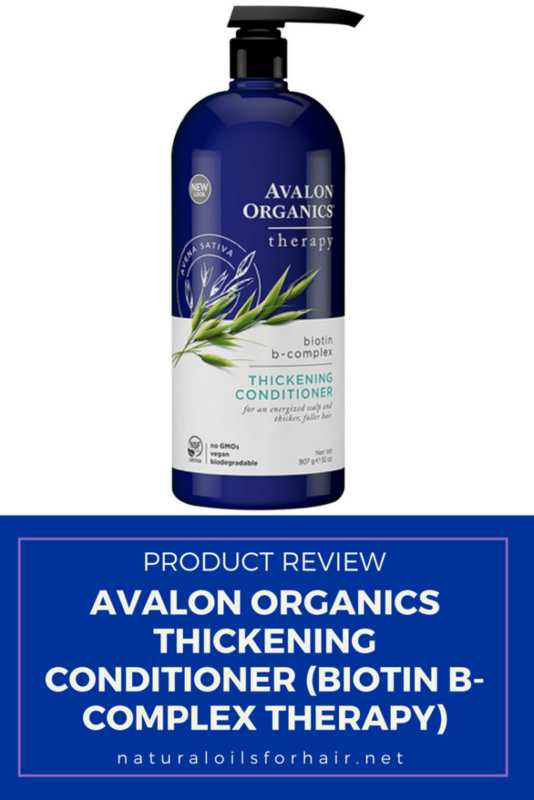 Avalon Organics Thickening Conditioner (Biotin B-Complex Therapy) is made by a brand known for its dedication to natural and pure ingredients, sustainable sourcing and innovative product line. 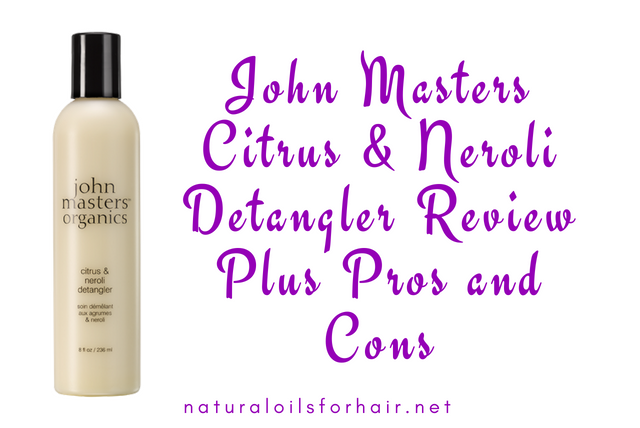 The conditioner has a long list of ingredients detailed below but there were a few ingredients on the list that let me know this could be a winner for curly hair. Adds body to thin hair. Stimulates scalp for hair growth. 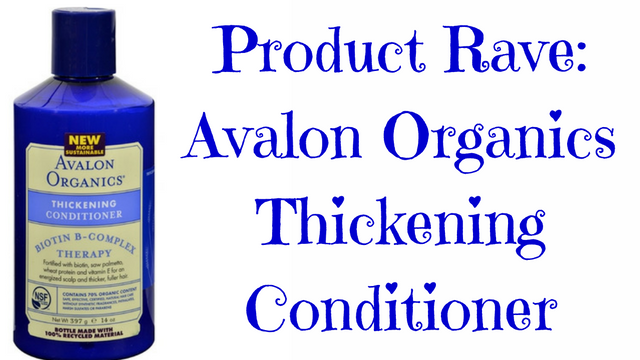 Avalon Organics Thickening Conditioner (Biotin B-Complex Therapy) is white with a creamy consistency and has an herbal smell, which I found relaxing. On wash day, I took down my braids and washed my hair with diluted Castile soap. Afterwards, I parted my hair into 4 sections. I applied my regular conditioner to 2 sections while I applied Avalon Organics Thickening Conditioner (Biotin B-Complex therapy) to the other 2 sections. As I applied the conditioner, my curls began springing back into formation. It was glorious to watch but that’s not the best thing about this conditioner. After application, I deep conditioned under a hair steamer for 30 minutes then rinsed out. I squeezed out the excess water and then compared the two sections of hair to the other two sections. The curls in the sections with Avalon Organics Thickening Conditioner (Biotin B-Complex therapy) were curlier and fuller. Additionally, the feel of that section was smoother to the touch. I fell in love immediately. 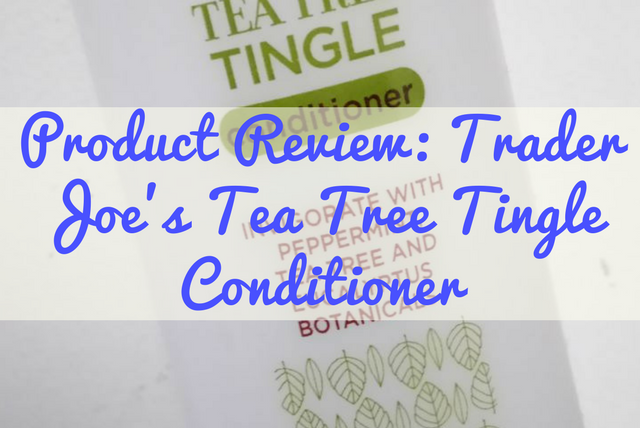 I’ve since added it to my regimen and will come back to update this article if the conditioner eventually contributes in some way to hair growth as advertised. I highly recommend for thin haired ladies as well. If you also have some damage from chemical processing and/or want to give your hair a light protein treatment, this is an excellent product to try out. Avalon Organics Thickening Conditioner (Biotin B-Complex therapy) is paraben free, free from synthetic fragrances and colours, non GMO and suitable for vegans. It comes in two sizes – 14 oz and 32 oz. It also comes with a shampoo, which I may test out at some point before the end of the year. I give this product 5/5. Aloe barbadensis leaf juice(¹), aqua (water), glyceryl stearate SE, caprylic/capric triglyceride, helianthus annuus (sunflower) seed oil(¹), cetyl alcohol, stearic acid, stearyl alcohol, olea europaea (olive) fruit oil(¹), avena sativa (oat) kernel extract(¹)*, calendula officinalis flower extract(¹), camellia sinensis leaf extract(¹), chamomilla recutita (matricaria) flower extract(¹), citrus aurantium bergamia (bergamot) fruit extract, daucus carota sativa (carrot) root extract(¹)*, lavandula angustifolia (lavender) flower/leaf/stem extract(¹), persea gratissima (avocado) fruit extract(¹)*, rubus idaeus (raspberry) fruit extract(¹)*, serenoa serrulata fruit extract(¹)(²), solanum lycopersicum (tomato) fruit/leaf/ stem extract(¹)*, tanacetum vulgare extract, butyrospermum parkii (shea butter)(¹), canarium luzonicum gum nonvolatiles, cedrus deodara wood oil, cedrus atlantica bark oil, citrus aurantifolia (lime) oil, citrus aurantium dulcis (orange) peel oil, citrus grandis (grapefruit) peel oil, citrus limon (lemon) peel oil, copaifera officinalis (balsam copaiba) resin, coriandrum sativum (coriander) fruit oil, eucalyptus citriodora oil, eucalyptus globulus leaf oil, ferula galbaniflua (galbanum) resin oil, geranium maculatum oil, lavandula angustifolia (lavender) oil, mentha piperita (peppermint) oil, persea gratissima (avocado) oil(¹)*, pogostemon cablin (patchouli) oil, rosmarinus officinalis (rosemary) leaf oil, simmondsia chinensis (jojoba) seed oil(¹), styrax benzoin resin extract, zingiber officinale (ginger) root oil, cyamopsis tetragonoloba (guar) gum(¹), hydrolyzed wheat protein, sorbitol, tocopheryl acetate alcohol(¹), benzyl alcohol, potassium sorbate, sodium benzoate, limonene, linalool. 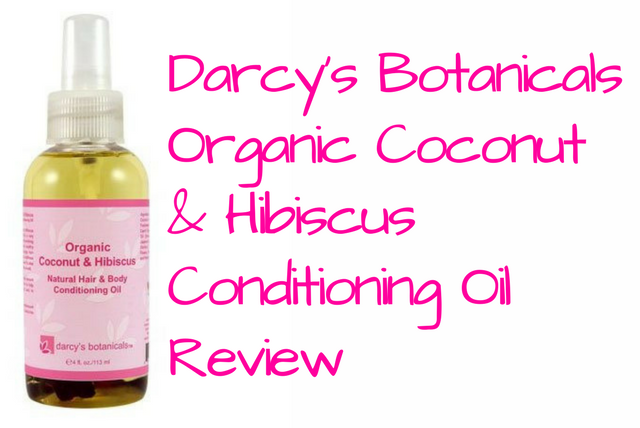 Read more product reviews for hair care. Don't forget to sign up for notification of new product reviews and articles.